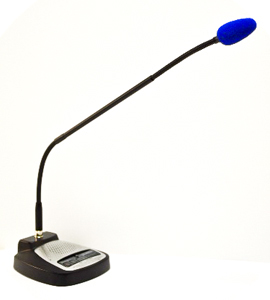 A highly sensitive noise cancelling Desktop Microphone with a USB interface and standard input and output sound jacks with a built-in speaker. Digital control panel with user programmable volume buttons. One standard USB and one Pedal ports to control the microphone with the foot. Detachable and interchangeable long microphone boom with flexible tip for perfect positioning. Industry first integrated 'Speech Equaliser (EQ)' and 'Automatic Gain Control (AGC)' or Amplifier for long and variable range dictation. Wideband and 20 kHz High Definition VoIP. Insulated USB cable with gold plated connectors. Two-year warranty. 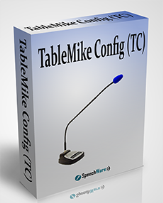 The new SpeechWare USB 6-in-1 TableMike is the collaborative result of several years of the best European design informed with continuous input from numerous experienced speech recognition resellers and users worldwide. 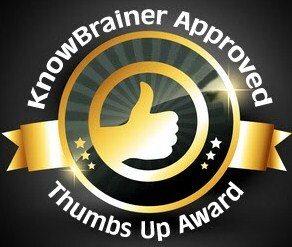 Awarded a Best in class "5 Dragons" certification by Nuance, the developer of Dragon NaturallySpeaking. The TableMike was recognised as the Best microphone with "4.5 mice" by the leading American computing magazine MacWorld US. In Europe, the German publication MacWelt explicitly highlighted the excellent accuracy of the TableMike with Dragon Dictate 3, along with the freedom of movement during dictation. 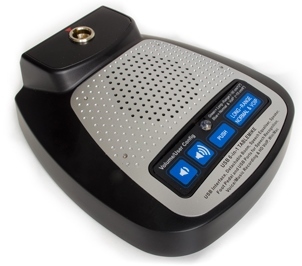 Dictate more comfortably without wearing anything or being physically tethered to your PC! Integrated high quality Speaker with Volume control (+ and -) buttons built conveniently into the base --an industry first! 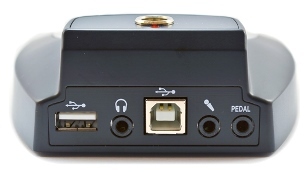 Audio output to connect Stereo headsets, for privacy and Stereo music listening --another industry first! Noise canceling technology with manual Sensitivity control, filters out background noise --another industry first! Versatile and extra long 20 inches long adjustable boom allows even stand up comfortable dictation --another industry first! 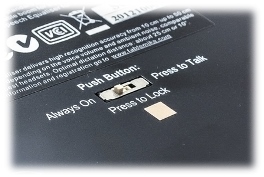 Optional foot pedal for hands free operation --another industry first!